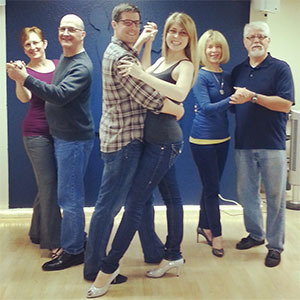 Whether you are a new or seasoned dancer The Ballroom is a great place to dance. It is a very friendly place to learn to dance. The classes are not huge so you get more individual attention. Our Country Two Step class also called Texas 2 Step will be starting Thursday, April 25th and goes for 4 weeks. It ends May 16. The cost for the 4 week series is $52 if you preregister on line or by calling 586-1136. The cost at the door the night of the class is $62..